to all the ages from children to seniors & everyone in the middle. My name is Shaletha , I attended Sanford Brown College in 2013, graduated in 2014. I started my externship in another office working with multiple dentist there is where my career kicked off. 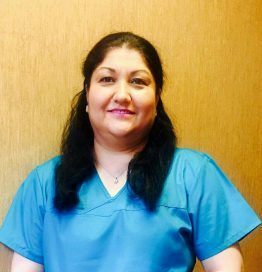 After my externship I had gained experience as Dental Assistant from breaking down rooms to assisting different dentist troughout my day of work. I found Ace Dental a little after my externship was over and have been an RDA here for about 3 1/2 years. Throughout the years I have gain more and more experience Dr. Reddy has helped me to be where I stand. I choose the Dental field because its something I have always wanted to do, care for others. I love to see people happy by me able to assit to help them save and treat their oral health. I enjoy coming to work every day with my co-workers, ever since I started I wasn’t treated like another employee, I was treated like family. I was born and raised in Shreveport, Louisiana have lived in Dallas for about 5 years now. I won’t lie I sometimes do get home sick, missing my friends and family. I enjoy living in Dallas alot there is alot to do in the city, one thing I do love is that it has many many malls for shopping which is one of the many things i love to do in my free time. I absolutely love and enjoy is spending time with my children, taking them out to explore new places we haven’t been to in the city, to attending to their games and activities. On my days off I attend beauty school in lewisville, I am very passionate about fashion and make-up, I love to stay on top of my style and the latest trends. On vacations or holidays I frequently visit my home town or if not I get to travel and get to see new places. Other things I enjoy doing is listening to music, i love to dance, and working out. 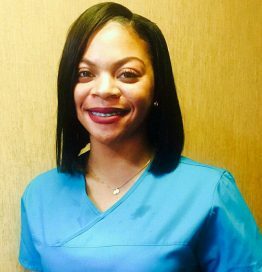 My name is Mehriah, I have been a Dental Assistant for 10 years now, and have worked at Ace Dental for ten years as well. I have seen and been part of this growing practice along with Dr. Reddy. I am a graduate from Hightech Institute, graduated in the year of 2007 as a Registered Dental Assistant. I have been part of many many cases and seen transformations in many peoples smiles. I dont think there has not been a case I haven’t seen and I really enjoy it I have gained a lot of experience out of every case because no case is the same. One thing I like about my job is the interaction with patients, where i work we’ve had patients that have been patients for longer than what i have worked here for and that is something I like about my job. I have worked with many assistants but right now i like the people i work with because we are like family, we are always there to help each other and share events in our life with each other, makes work that much more fun to COME everyday. I have lived in Carrollton for about 17 yrs now, moved from Canton TX, before Canton I lived in California and Germany. I absolutely love spending time with my children they are my everything, they give me strength and motivation, they are my fuel. I cherish every minute with them when we spend time in family. We are very family oriented, I enjoy my family gatherings and parties I have a huge family so there is always something fun to attend to. I love traveling wish I could travel a lot more and I also enjoy traveling to visit family in California and Colorado. Another thing i enjoy doing is watching movies and shows my favorite are international shows from back home. I also love shopping I enjoy shopping once I start shopping I do not want to stop and I find great deals even better. My name is Giovanna I attended Kaplan College in 2012, graduated with honors on Dean List in 2013. Have been a Dental Assistant at Ace Dental for about 4 1/2 yrs, which is where i did my externship for about 3 months. I enjoy everything about my career from educating kids and adults about their oral care, to helping and assisting Dr. Reddy to give patients the oppertunity to smile once again. 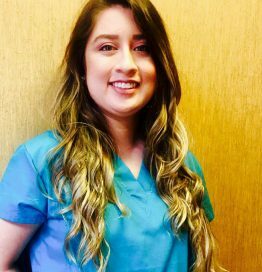 I have always been driven to work in medical field from CNA started college for nursing, now a Registered Dental Assistant. Dr Reddy has given my the oppertunity to grown and gain more experience in the dental field. Coming to work is fun, my staff is like a second family, i love them. We enjoy our time working together and working with our patients specially the one’s that we’ve known for a long time which are not patients they are friends to us. Most importantly we treat everyone with kindness, we care about our patients. A little more about myself, I was raised in Texas since I was four years old, down south in Laredo TX. Moved to Farmers Branch about 12 years ago, I love Dallas city very much. I love spending time with my husband and my family, they are my priority will always always come first, I also enjoy spending time with my miniature poodle Leo my only child as of right now. Traveling is also something I enjoy and look forward to every year. I am a foodie person love trying new restaurants, I enjoy outside activities such as biking, hiking, swimming. Can’t leave out Netflix i like watching new movies and shows. Lastly I absolutely love love doing DIY projects.